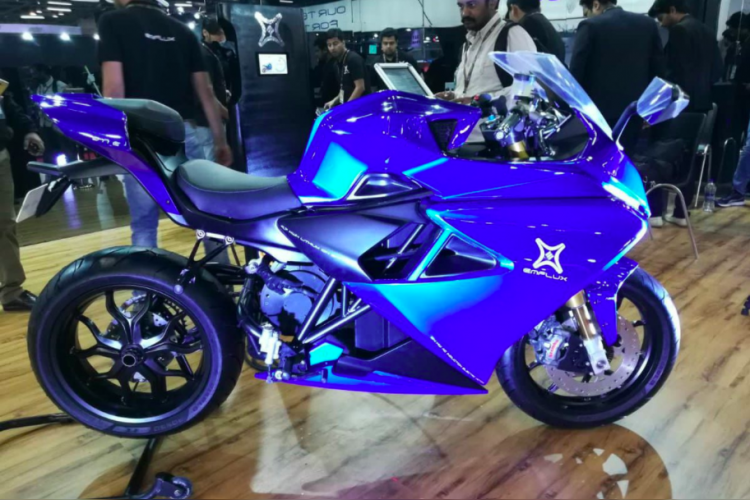 First, indigenously mad electric superbike, Emflux One, has been unveiled by Bengaluru-based tech start-up Emflux Motors at Auto Expo 2018. With a top speed of 200 kmph, Emflux One is powered with Samsung Lithium-Ion 9.7 kWh high power cells with a 60 kW AC induction motor. The bike is expected to be priced between ₹ 5.5 - 6 lakh and its pre-booking will start in July 2018 and the first delivery will begin from April 2019.